The subject of death and dying continues to be very much on my mind and heart of late, not only because of my Mom’s passing away on September 16, but also because of several others around me who have recently lost loved ones. My friends and preaching brothers, Jeff and Dale Jenkins, buried their father last week in Birmingham, Alabama. Another dear friend and fellow minister, Lyle Asbill, will be leading a funeral service for his father-in-law this afternoon in Shawnee, Oklahoma. This Saturday I will speak at a memorial service in California for a friend, Todd Nance, who recently passed away after a long, courageous battle with cancer. Todd and his wife Kristen were special friends to me and my family in the early days of the McDermott Road church plant in Plano, Texas. I want to recommend (highly) a book that I read last week which I found to be extremely meaningful, challenging, and comforting. The Art of Dying, written by Rob Moll, was just published this year. The book is subtitled, Living Fully Into The Life To Come. The back cover reads, “Rob Moll recovers the deeply Christian practice of dying well. 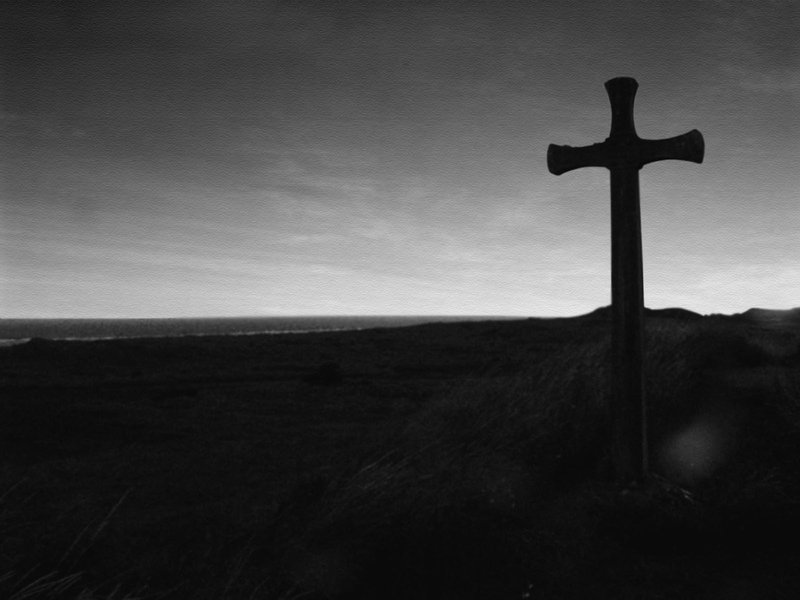 For centuries Christians have prepared for the “good death” with particular rituals and spiritual disciplines that have directed the actions of both the living and the dying.” Moll focuses on the comfort, peace, absence of fear, and acceptance that Christians and their loved ones should experience as death approaches. He deals pointedly with end-of-life issues, but with great compassion and sensitivity, even when he challenges conventional thinking. Below are a few excerpts from The Art of Dying. For Christians in previous centuries, death was a sacred moment long prepared for. It was considered one of the most important events in life, an event on which hung all of eternity… Christians sought to learn from the dying because of their increased spirituality as they neared eternity. Death, Christians believed, was not just a medical battle to be fought, though they did use medicine for healing. Nor was death simply about the loss of precious relationships to be mourned. Instead, it was a spiritual event that required preparation. The dying performed it in public as evidence of their faith and to provide instruction to others. Rather than waiting for illness to overtake them, the Christians were actively involved in their own dying, in control – to the extent possible – of the dying process. I remember having difficulty visiting a hospice Alzheimer’s patient during meal times. The smell of the institutional food and mixed nutritional drinks combined with very sloppy eating was often difficult for me. But my presence recognized the sacredness of this person with dementia, and it taught me not to be too confident and haughty in my own temporary health. The elderly and dying reflect our own future selves. That is perhaps the hardest task of caring for an old person, the inner undertaking of accepting our own limitations. What we do and what we say when someone dies is an expression of what we believe about life and how we want to live… A funeral is the church’s opportunity to express those beliefs, to tell the story of the gospel and tie it into the life of the deceased and those gathered to worship. There is beauty and blessing in being with someone as she moves from this world to the next. As we attend to another believer whose soul is returning to God, we capture a glimpse of the beautiful destiny that awaits us. We are reminded of our need for him. We are spurred on to live with eternity in view, knowing that it is our living well that will define our death. Dying is an art only because through it God is at work. Only in God’s hand can something ugly and terrible be transformed into a thing of beauty and purpose. In the end death is as mysterious to us as resurrection. In our churches we spiritually enter into Christ’s death and resurrection in the waters of baptism. In the same way, we must practice for our deaths, prepare to care for others as they face it and look for the hand of God who welcomes us through death to life everlasting. Moll reminds us that death does not have the last word. It is merely a transition of our souls into the presence of Christ. God has spoken. Jesus has promised. Christ is risen. Victory is ours. Your writing today on THE ART OF DYING…….. Well said. Willard in hospital in Cullman or his house in Cullman or your house in OK. ????? Thanks, Graham! Dad is at his home in Cullman; had a setback and was in the hospital from last Wednesday until yesterday. Hopefully can come to OK in a week or so.